We offer 10,000 square feet of up scale, Antique and Collectibles with something for everyone! We feature a huge selection, friendly staff, great lighting, plenty of parking and handicap accessibility and more. 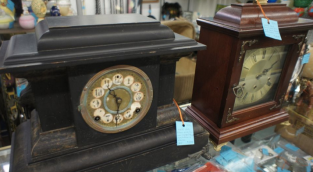 Don't miss the great selections of antiques and collectibles at Memory Lane Antiques and Collectibles. But not just antiques, come to Memory Lane Antiques. We're changing the face of Flea Markets. You'll be greeted by a friendly staff and over 10,000 square feet of antiques & collectibles to browse. Welcome to Memory Lane Antiques & Collectibles in Hagerstown Maryland. Memory Lane Antiques, conveniently located just 1 Mile from I-70, Exit 32B in Hagerstown, MD, offers 10,000 square feet of up scale, Antique and Collectibles with something for everyone! Our store features a huge selection, friendly staff, great lighting, plenty of parking, handicap accessibility, clean restrooms, and more. 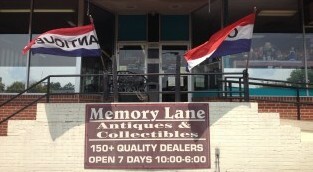 If you want more than just a flea market, but not just antiques, come to Memory Lane Antiques. We're changing the face of Flea Markets. If your passion is antiquing, don't miss the great selections of antiques and collectibles at Memory Lane Antiques and Collectibles on Route 40 (Dual Highway) in Hagerstown, Maryland. We offer Furniture (New & Antique), Country Decor, Gifts, Jewelry, Coins, Crafts, Pottery, Crocks, Lamps, Baseball Cards, Vintage Items, Nascar Memorabilia, Hardware, Kitchen Items, Toys, Pictures, Dishes, Prints, Candles, Swords, Knives, Glassware, Books & Records and more! 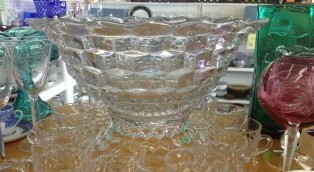 Stop in our Hagerstown, MD antique & collectibles store today to view our latest treasures!